Steven Taylor admits he’d ‘love’ to make NUFC return – but only once he’s hung up his boots.. – NUFC blog – Newcastle United blog – NUFC Fixtures, News and Forum. 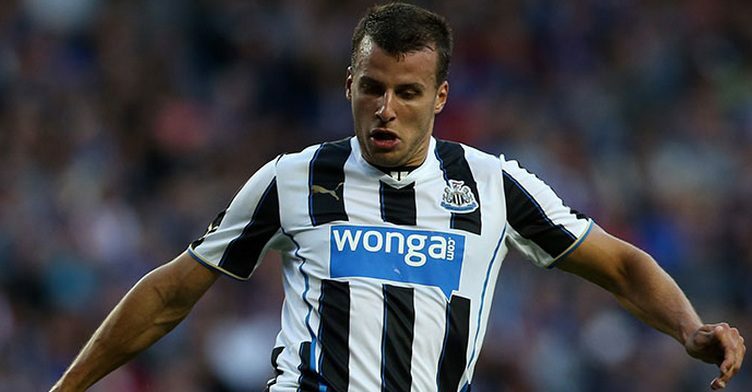 Steven Taylor admits he’d ‘love’ to make NUFC return – but only once he’s hung up his boots..
Taylor left the club in 2016 following 268 appearances in black and white, with him now playing down under with Wellington Phoenix following spells in Portland, Ipswich and Peterborough. He may be at the other side of the world, but it seems he’s still following every minute of action at St James’ Park – with him admitting to setting alarms at 4 and 5am to watch our games. Taylor always had the heart of a Lion, and his attitude and commitment to the cause could never be questioned, however injuries and too many rushes of blood often cost him. He’s played in the America and Australia over the past few years, but it sounds like he’d jump at the chance to return to Tyneside if a coach role was offered his way. Do you think he’d be a good man for the job in a few years time? What’s he going to coach? The best managers and coaches are often those who haven’t had the greatest playing career. It’s an understanding of tactics and man management. Average players often get this more. They listened and made the very best of limited skill. Had they not been able to do so, the difference between top amateur and bottom professional isn’t that great. Steven always knew what he had to do, often a lack of real natural talent let him down. Not sure he should be written off. Hi I remember my early visits toJames Park in 1942. We didn’t climb up the steps but we were rolled over the heads of the crowd to sit on the wall on the eighteen yard line at the Leazes End. Also played tennis with Jackie Milburn when he lived in Gosforth.